You received a letter from us and you want to take part? What is the purpose of luxmobil? 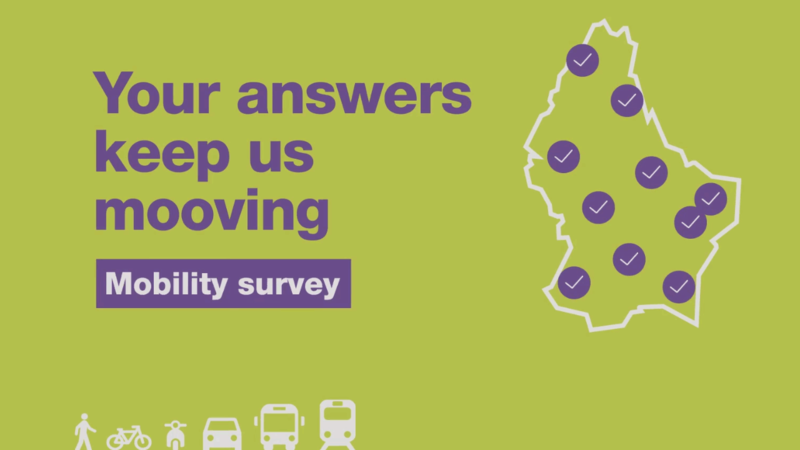 The aim of the survey is to map mobility all across the Grand Duchy of Luxembourg. Citizens from all towns and municipalities as well as cross-border commuters from France, Belgium and Germany are being interviewed. The data collected provides assistance to transport planners with the planning of roads, pedestrian and cycle paths as well as public transportation. The survey uses a scientifically controlled random sample from public registers. All persons selected are being contacted by letter. This selection process is vital to ensure representative results. Thus it is not possible to participate voluntarily with being invited to the survey. Letters are sent out over a three-month period between March and May. How much time does the survey take? Completing the questionnaire will only take about 10 minutes. It is easiest to participate online. If requested, telephonic or written participation is also possible. What kind of information is being gathered? The study participants are asked to report every journey they made on a particular day. Further, there are a few general questions about the participants in order to allow a differentiated evaluation of the results. It is therefore important that persons who did not make any journey on the selected day participate as well. You received a letter from us but still have questions?